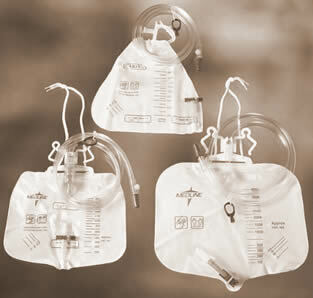 To empty resident’s urinary drainage bag and measure and record output, there are several steps that should be followed. It is important to keep to these instructions as they are what is required in order to pass a nursing assistant certification exam and they are also the best way to provide this type of care to a patient. Not only will missing one or more activities lessen your chances of obtaining a CNA certification, it may also lead to complaints being filed against you if the resident is not satisfied with your work. To help you recall the steps and procedure needed in this particular set of activity, there are some candidate handbooks which are given by testing centers to nurse aide candidates right before taking the exam. They include concise instructions which will help you remember the important points that should be done when performing this activity. It is also good to research about them through the internet or through the CNA pages of the Department of Health of your state. They will provide you with the necessary information that you need as well as provide you with tips on how to pass the exam successfully. To perform this activity, do the following steps. First, you have to greet the resident by his or her name and then introduce yourself and your purpose of coming to their room. Try to inform the resident about the necessary steps that will be taken in order to empty their urinary drainage bag as well as measure and record their output. After that, you should proceed to wash your hands thoroughly and then put on a fresh set of gloves. The gloves are important when handling the urinary drainage bag, graduate, and bedpan for infection control. After that, set the graduate or bedpan on a barrier on the floor and then proceed to empty the contents of the urinary drainage bag on the graduate or bed pan. Do not allow the drainage bag to become contaminated by allowing any part of it to touch the transfer containers. Next, close the drain again by clamping it and replacing it on their designated pocket. To read the right amount of content, place the graduate on an eye-level area with a flat surface that has a barrier. Complete the process by emptying the contents of the graduate on the toilet. Rinse and dry the container pouring all the rinsing water to the toilet after each rinse. After that, remove your gloves and wash your hands. Record the measurement of the output on the I&O form in term of + or – 50 ccs. Leave the drainage bag on hanging on the bed frame, the drainage and the tubing not having any contact with the floor but in a position lower than the bladder of the patient during and after the care. Replace the equipment on their proper storage places, disposing of garbage and putting soiled linen on the hamper. Make sure that you have applied indirect care during the process such as infection control, standard precautions, taking the resident’s comfort, needs, and privacy, as well as promote resident rights and safety.